Coyotl Cuica Cuitlahuac 'Singing Desert Coyote' ? Tony Ramirez has been independently researching and cataloging the traditional medicinal ethnobotany of South Texas and Mexico for over 35 years. 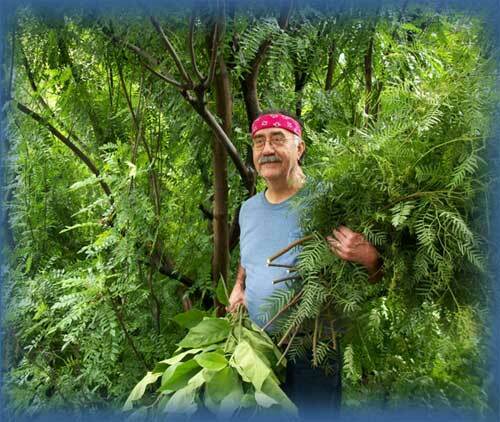 Ramirez, formerly with the Texas Department of Agriculture, has authored over eighty articles on medicinal plants. He currently presents lectures, workshops, and field studies on the medicinal plants of South Texas and Mexico. He provides consulting services, and since 1996 has been an instructor of Herbal Medicine for the South Texas Environmental Education and Research (STEER) Program in Laredo, an Environmental Medicine/Border Health elective of the University of Texas Health Science Center at San Antonio Medical School.